A minor torsion spring problem is one too many! To avoid worse headaches, just contact us. A specialized technician will visit your property to do any necessary garage door torsion spring repair in Houston, TX. The time of response is always quick when it comes to spring problems. After all, with the spring broken, the door won’t open. Rest assured that no matter what type of door you’ve got, the technician will be able to handle spring trouble. They are all trained to fix, replace, and install springs. So if you need professional service, let Garage Door Repair Houston help you. Call us should your spring breaks! 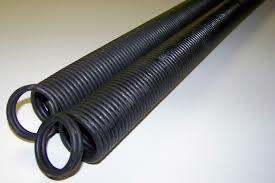 A technician will come urgently for garage door torsion spring replacement in Houston, Texas. Experienced with all spring types and their services, the local pros will be able to handle any spring system & repairs. In order to do their job right, they are always fully equipped. They will carry the right torsion spring replacement for your garage door along with tools designed for such services. Once the new spring is installed, it must be wound tightly to balance the door. But it takes expertise to wind torsion springs right. Trust that the technicians have been offering torsion spring adjustment for a long time. They wind springs with the right tools and add as much tension as needed. A local expert can also help you with your Houston torsion spring repair needs. These might include anything from adding tension to lubricating springs. Lubricants help springs last longer and move without making noise. The spring parts are also checked since brackets and bearings might also get rusty and often they need replacement too. Don’t forget that our company can also arrange any service related to the extension springs. So, don’t let spring problems give you a headache or threaten your safety. Call us today and we will set an appointment with the best tech available for fast garage door torsion spring repair Houston services.